Eliminate the headaches of managing a fleet and driver staff. Let DDS handle your driver staff responsibilities with our dedicated courier program. You'll never have to worry about broken down vehicles or driver call-offs again! If you have a need for routine pick-ups and deliveries, then DDS' scheduled services can fulfill those needs. Whether it's daily , weekly, car or truck, we can customize the right program for you. When every moment means that one more life can be saved, time becomes the enemy. DDS understands that facilitating deliveries on time is crucial, because patients' lives are at stake. Our lab delivery and logistics services provide time-critical solutions for your same-day fulfillment needs such as lab runs, medical records, blood, specimens, etc. We give laboratories the tools to consolidate services, optimize efficiencies, and stay under budget by providing custom lab logistics solutions. Because the healthcare industry never sleeps, neither do we. DDS offers direct pickup and delivery 24/7/365. As an alternative to one of the larger carriers, we offer robust technology, competitive pricing with a higher level of service. Your packages can be tracked, and redirected if necessary, at any point during the delivery process. Pool Distribution is the distribution of product to numerous destination points within a particular geographic region. Pool Distribution reduces transportation times and maintains shipment integrity for an overall cost-effective distribution solution. 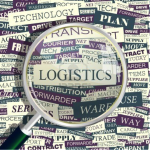 It is our goal to add value to your logistics supply chain. We have the capability to warehouse, fulfill and delivery your products to your customer, allowing you to focus on growing your business.